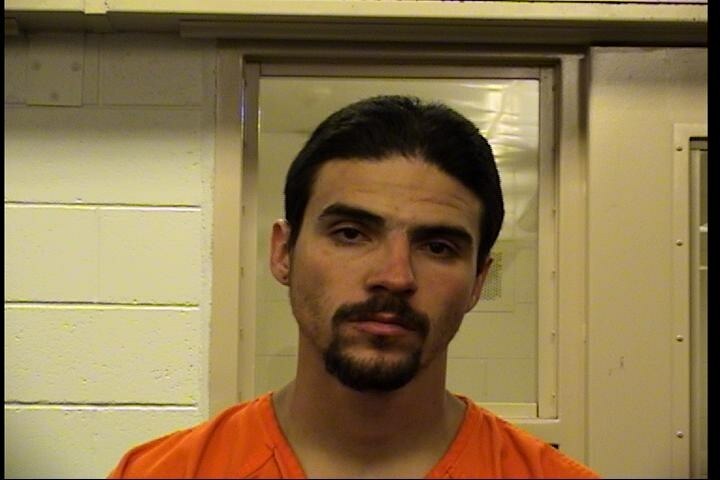 Joseph Rodriquez arrested after committing a robbery at a local convenience store. Joseph Rodriquez, 30, was arrested after running from police for a robbery he committed at the Moon Mart located at 8920 Menaul Blvd NE. Officers received a call from an unknown person of a suspicious black Acura parked in the Moon Mart parking lot with two individuals inside placing masks over their faces. Officers arrived to the Moon Mart and the vehicle was no longer in the parking lot. Officers spoke to the clerk and he told police he saw two males in the vehicle and observed their behavior to be odd. The clerk told officers one of the males, later identified to be Joseph Rodriquez, entered the store with a mask on concealing his identity. The clerk told police he was afraid he was going to get robbed and took precautions in the event that happened. The masked Rodriquez entered the store and threw an empty pack of cigarettes towards the clerk. Rodriquez proceeded to take several items from the shelves and walked out of the store without paying. Both males left the area in the black Acura. Officers continued to check the area for this vehicle to ensure the duo were not committing other crimes in the area. During this time officers observed a second call for service of a vehicle matching this description which was located at Luthy Dr and Northwestern excessively honking its horn. Officers went to check on this vehicle and discovered it was the same vehicle involved in the robbery at the Moon Mart with Rodriquez driving. Officers attempted to make contact with him and the vehicle sped off. Rodriguez was driving the wrong way on San Mateo Blvd before he ended up crashing into a parked vehicle in the 2400 block of San Mateo Blvd where Rodriquez fled on foot. After a short foot chase officers were able to take Rodriguez into custody. During the course of their investigation they discovered the vehicle Rodriquez was driving was reported stolen and he was in possession of Heroin. Rodriguez was booked into MDC for Robbery, Aggravated Assault, Aggravated Fleeing a Peace Officer, Receiving/Transferring a Stolen Motor Vehicle, Conspiracy, Possession of Burglary Tools and Possession of a Controlled Substance. Officers did a great job conducting this investigation. Their dedication and being aware of other incidents in the area is what lead them to this offender and ability to make this arrest.